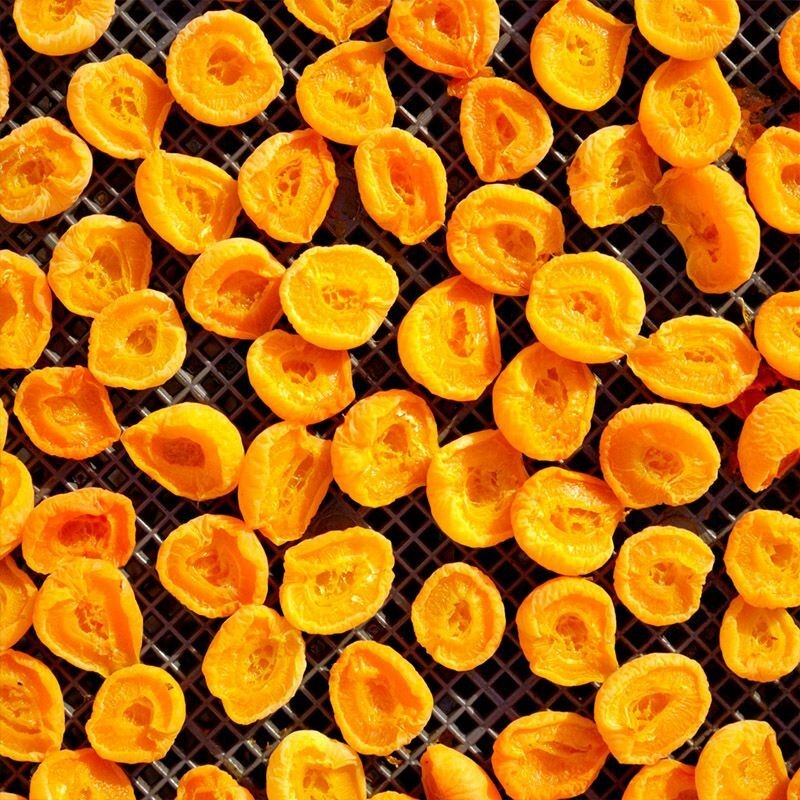 Cape Dried Fruit Packers is South Africa’s second-largest exporter of dried Cape tree fruit, shipping a third of the country’s total production to overseas markets. Our superior storage facilities and careful management of stock allow us to supply top quality products all year round. A great range of locally produced dried fruit products with specialization in Cape Peeled Peaches are sold at factory shop prices. 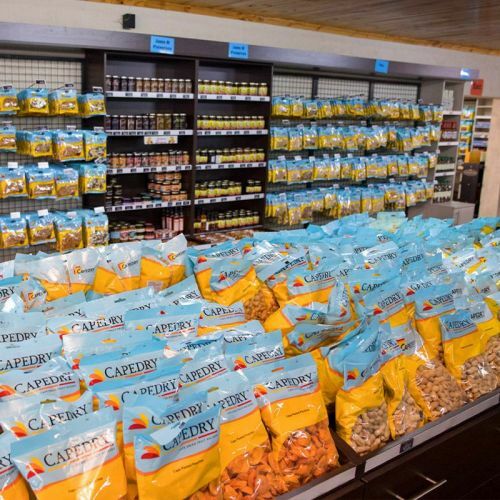 We also sell a wide selection of local products from the Montagu area at affordable prices. Wines from 24 local cellars sold at amazing cellar prices. The Bistro is the ideal place for the perfect breakfast (served until 12:00) and lunch with a delicious selection of freshly baked goods on offer. Order from a menu that fit for any occasion. From light meals like toasted sandwiches, tramezzini, salads, to larger mains that include steak, tripe, home cooked traditional stews, chicken pie and so much more. 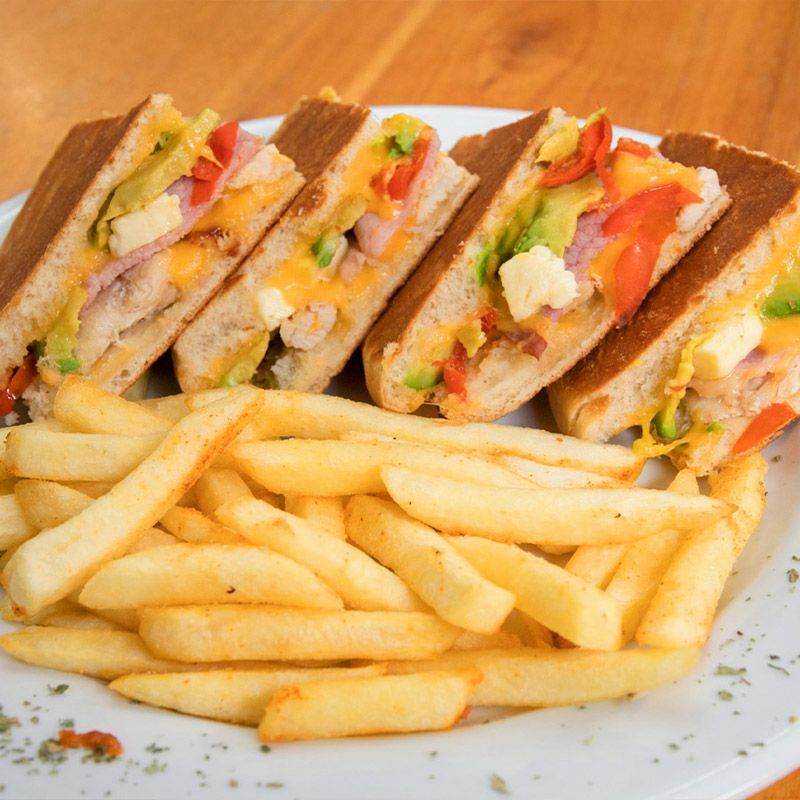 We serve Sunday lunch (bookings required) and also host functions for up to 60 people. 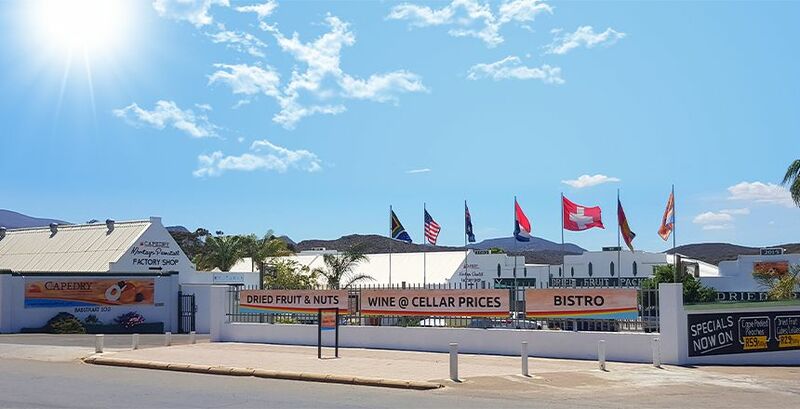 Every Saturday and Sunday at 11am, the tractor departs from the Capedry parking lot and makes its way through the La Providence Dried Fruit Farm. The trip is completely FREE and is available to the public on a first-come, first-served basis. The duration of the trip is approximately 30 minutes, which should be just enough time to see the orchards, the drying lanes and the plant itself, where we recently installed our brand new “Stoning Plant”, with the Pitting Machine imported all the way from Italy. 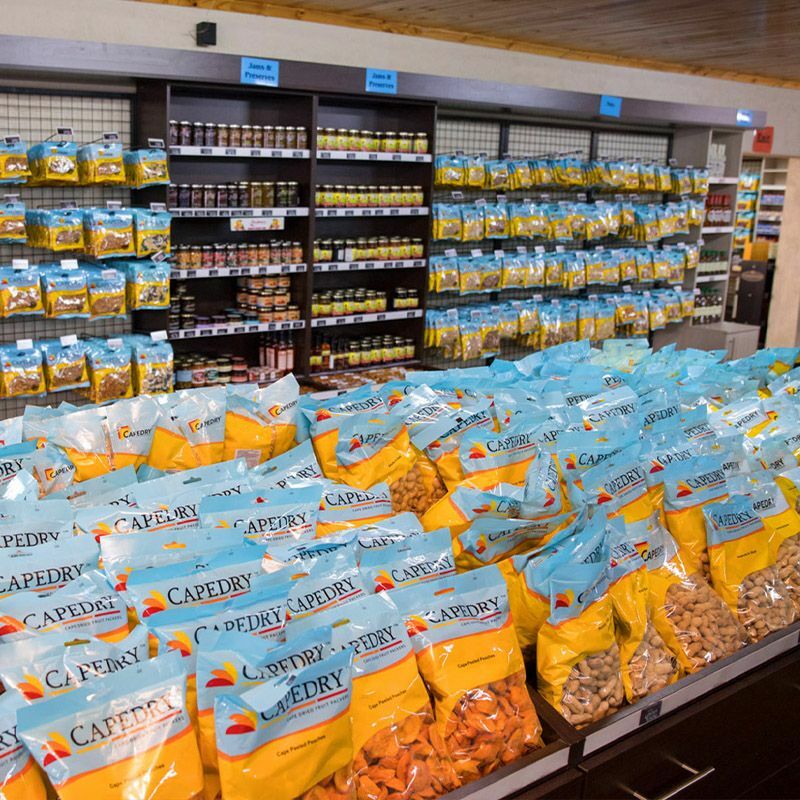 Once done, why not enjoy a delicious light lunch, purchase some wine at cellar prices and browse through our large selection of dried fruit and nuts at the Capedry Montagu Farmstall, Wine Boutique and Bistro? See you there!